How Often Should Your Commercial Fire Protection System in Lawrenceville, GA Be Inspected and Tested? Many businesses choose to have more than one fire protection system in place, such as fire extinguishers and fire sprinkler installations. These elements can keep your building and the people in it safe in the event of a fire, but the equipment must actually work in order to do so. In the case of fire sprinkler systems, they are the best defense against fire, whether the building is occupied or not. Like any type of mechanical system, your business fire sprinkler system requires professional care and maintenance, inspection and testing to ensure proper performance. To check charges on all your fire protection devices is to ensure they will work properly in an emergency; note that automatic fire protection sprinkler systems need regular checks as well. Keep all records of the most recent inspections and tests for your water-based fire protection system (or other type of system) for at least a year as proof that you are adhering to safety regulations. Weekly to monthly: Dry, deluge and pre-action systems require gauge inspections once a week, while wet pipe system gauges can be inspected once a month. Quarterly: There are several components that should be checked at least every three months. This list includes the water flow alarm devices, valve supervisory alarm devices, control valves, supervisory signal devices and hydraulic nameplates. Annually: Inspection of the hanger bracing, pipes and fittings, spare sprinklers and information signage should be performed once a year. Every five years: Once every five years, you need to call a professional fire sprinkler system company to conduct a thorough internal inspection of all sprinkler piping. Quarterly: It’s suggested that fire sprinkler mechanical devices be tested every three months to ensure effectiveness. Semi-annually: Every six months calls for a testing of devices of the vane and pressure type. Annually: Have a complete fire sprinkler system test and physical check performed on all parts once a year—including water flow tests, fire pump tests, alarm tests and antifreeze concentration tests in some systems. Dry pipe, pre-action and deluge valves also need trip tests. Every five years: Systems in extreme temperatures and harsh environments, as well as gauges on all sprinkler system types, require a test every five years. Replacements may be necessary. Every 10 years and beyond: Check with your fire sprinkler repair and maintenance company to find out how often your older system should be tested, and for what. Keeping a schedule of important fire sprinkler inspections and tests is a good plan—especially since timelines will vary depending on the type of check or service needed. 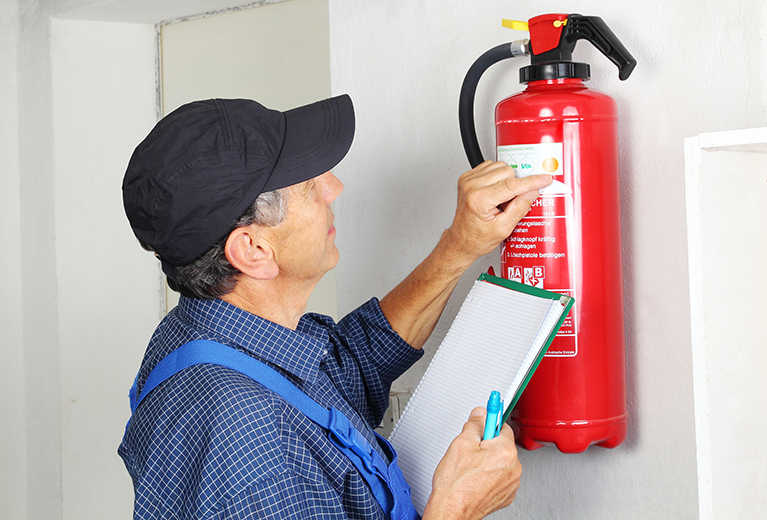 Whether your business’s fire protection system in Lawrenceville, GA is in need of installation, equipment repairs, maintenance or a safety inspection, the experienced team at AAA Fire Protection Resources, Inc. can do it all. Contact us to schedule an appointment today!